"Create Gorgeous 3D eCover Design In Just 15 Minutes or Less – Guaranteed – Even If You're Not A Gifted Graphic Designer Or You Don't Have Any Computer Skills At All!" Click Here To Try The FREE Demo Version Right Now! In today's world of online ecommerce, a picture is worth a thousand words. Here's what I learned from years of experience in the marketing industry… People like to buy from the Internet, but they don't buy purely on price. If you think people will buy your product just because you sell it cheap, think again. People judge a book by its cover, remember? That means you have to make your product look professional. You have to show your product in a way that makes your potential customers want to reach into their computer screen and pick it up straight away. If you can do that, if you can make the product jump and say, "Hey! Look at me! I'm real, buy me now! "… Then I guarantee that you will make a lot more money than you're supposed to! If you can create an eye-catching cover design that not only make your products stick out from the crowd and also turn 'cold' prospects into REAL paying customers, what kind of impact would it have on your business? But then, there are some problems. Fail-Proof, Web-Based, All-In-One 3D Cover Creator On The Internet"
This is it. A groundbreaking cover design system that anyone can use to create stunning, professional quality cover graphics in just 3 minutes or less. My team will handle all the technical stuff from behind the curtain. You won't see anything that will make you confused. All you have to do is keep creating those 3D covers for the benefit of your business. Create up to 6 different ecover templates with ease - eBook cover, Vista box cover, DVD cover, 2 different Software covers and even a membership card cover! Everything is prepared right here – all in 3D. Rotate your ecover model up to 360 degrees and save it from any angle you wish. Preview your ecover LIVE as you're creating it! Add your image, logo, text or whatever you wish and see how your ecover will look in real time before you save it! This quality alone will save you a lot of time! I'm putting my reputation on the line to get this into your hands so you can prove to yourself that creating covers is ridiculously easy. I wanted to make this so blindingly simple that any beginner can pick it up, understand it immediately and start making his first cover within 3 minutes or less. Nothing else will prove my system works. And by "works," I mean it can blow your doors off! Plug this "no-brainer" system in, flip the switch and create the cover. But MOST IMPORTANTLY, you'll able to fire those graphic designers and create as many covers as you want – all by yourself – without the extra cost. Now, check out some of our ecover designs and styles. Then compare them to what you are currently showing your visitors on your website. Imagine how many more sales you could be making right now if you had your product, ebook or ezine wrapped in a stunning cover. Click Here To Create Your Own eCover Right Now! 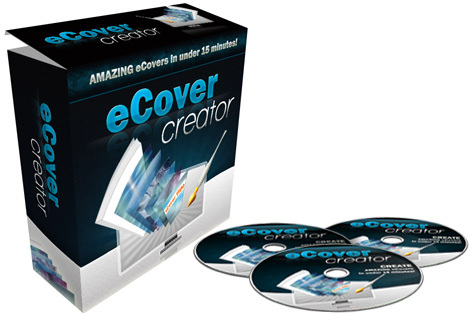 Thanks to its ease of use in creating such breathtakingly beautiful 3D eCovers, more and more Internet marketers are now using eCover Creator to replace their graphic designers altogether... which saves them thousands of dollars every single month. By the way, these big time marketers with big names on the Internet… they pay $97 per month for this system without giving any second thought. Why? Because they know that Internet sales volumes are exploding! As competition heats up, it is absolutely crucial for them to stand out from everyone else. eCover Creator is designed exclusively to ensure your product do stand out and sell more too! 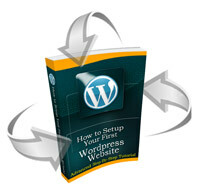 "Just wanted to thank Instant eCover Creator for creating such a useful program that is available for such a low price. I'm just starting out and really don't have a large budget, so this is a great help. Previously, I've used GIMP and Photoshop for image manipulation and I was planning on doing my ecovers by hand, but I doubt I could do anywhere near as good a job manually. And anyway, to even come close would take several hours per cover instead of several minutes with this super piece of software. You've not only saved me cash, but also saved me a helluva lot of time... while giving me a better product! After reading your offer, I almost jumped all over it! You know I have always wanted to have my own eCover software, right? Well, now I can have one (thank you!). I got it up and running in 5 minutes and created my first eye-catching book cover in less than 2 minutes. What else can I say? Your Instant eCover application is incredible! It allows me to create a cover that will definitely get attention and build credibility for my business. I can't thank you enough for this offer. Just wanted to thank you for the excellent piece of app just then. So, this is what you called a web-based eCover creator? Man, this is exactly what I need. I'm not very good at graphic design and stuff like that, so having this app on hand is immensely helpful to increase my sales conversion. I know that good covers don't lie. By following your step-by-step video I was able to create some stunning looking covers for all of my ebooks in just a few clicks. Man, you don't know how much this means to me. With this powerful app, I'll be creating my own covers from now on. You can use Instant eCover Creator to create a cover for any product or service you can imagine. Software is the first thing most people think about, but boxes have been used to sell subscriber-only sites, multimedia courses, online services and multi products in one pack. It has been reported back to me by some of my customers that their package or ebook cover design increased their sales by 300% or more. What would a 300% increase in sales mean to you? What would happen to your bottom line? No matter what products or services you sell or give away, you can easily DOUBLE your conversion rate if your potential customer can see it, and understand it. That is what eCover Creator is all about; packaging your product or service and website in a way that people can see and understand. Whether it's an ebook, service, software, or ezine, you can put it in a cover that has been designed to sell and sell and sell. I already know what works, and I'm telling you what works. Lots of people will tell you that making cover is expensive, or takes time to figure out, or requires you to be a super-talented graphic designer. You can grab my system, get up and running in a minute or two (if you take your sweet time) and start seeing that brand new cover of yours within 3 minutes or less. I flat-out defy anyone to make this any easier than this plug-and-play system makes it. Order the Instant eCover Creator System right now, and put it to the test for a full 30 Days. If you're not seeing shockingly good results by then (by your own standards), then I don't want your money. I'm not joking here. I'll give every penny back to you and you will be removed from the database. This is far easier than balancing your checkbook. I don't care if you're brand new to the Internet. I don't care if you've tried every cover creator out there and haven't been able to make a decent one. I don't even care how old you are. If you can start a computer and browse the Internet, you've got way more than enough brain power to make this work for you. Have you tried the free demo? How Much Is This All-In-One Instant Cover Creator?" Your total investment is just a measly $197 $97 $47. This is a one-time payment, not a subscription. There are no recurring costs. No hidden charges. No surprises. Just $47 for a LIFETIME membership on Instant Cover Design. This is only an *introductory* offer for the first 100 early-birds as I have limited memberships available. And believe me, it won't last for long - In fact, I'll be increasing the price without warning ANYTIME. There's really no time to lose. And of course, your investment will be protected with my personal money-back guarantee. So, if you're ready to start earning "REAL MONEY" on the Internet, then use a "REAL" cover to represent your product. With eCover Creator, you can make a brilliant cover that draws the eye and tempts the reader to buy instantly! P.S. What are you doing down here? Still can't make up your mind? This offer could disappear at any time and without notice because as soon as the limit of membership is reached sold, I have no other choice but to take down this page – that, or raise the price up to $197. The buzz is huge and places are filling up fast, so if you hesitate, you could easily miss out and be left wondering "what if…"
Here's the reality… your marketing campaign begins with your product cover. A quality 3D cover design is crucial to finding success in selling books, software, and everything. And here we are at eCover Creator, creating cover has never been easier. Even if you're a complete beginner – Click here now to start making your first cover! P.P.S. If you need some time to think, chances are you're going to miss out the opportunity to grow your online business. There's no better time than RIGHT NOW to get started and make a killing! Remember, all the risk is on me. I want you to kick the tires on this thing and put my system through its paces for almost one full month. If you don't start seeing results that makes you giggle with glee within that time, I don't want your money and you'll get everything back 100%. I won't even ask why or what happened.